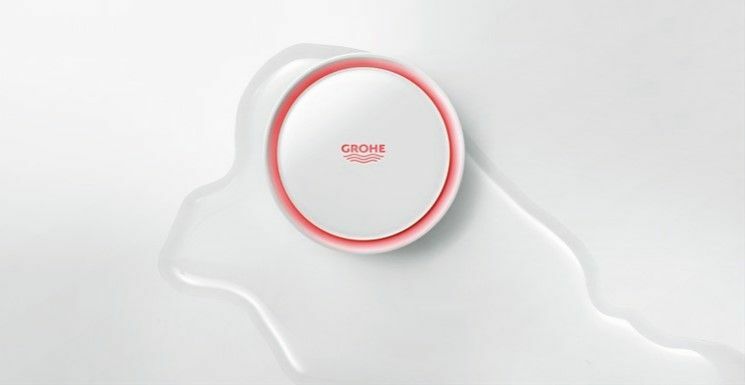 Sanitary specialists Grohe has just announced a potentially revolutionary new smart product that aims to help you avoid unnecessary water damage in the event of a burst pipe. The Grohe Sense smart water sensor monitors humidity, detects leaks and alerts homeowners instantly in case of a problem, while Grohe Sense Guard is installed in the main water pipe and can switch off the water supply in case of a burst pipe. Both use ground-breaking smart technology, allowing them to be monitored and controlled using the brand-new Grohe Ondus app. The Grohe Sense can be fitted to any floor and automatically tracks flooding and a rise in humidity It'll notify you via the Grohe Ondus app and get your water pipe shut off in no time to cap any more damage to your home. The Grohe Sense and Grohe Guard will be available from May 2017 with a price tag of only £51.99. Luxury watchmaker Frederique Constant has teamed up with online watch retailer WatchShop.com to offer its new range of sleek, analogue-themed smartwatches. Oh, and most these timepieces will set you back a cool £1,000. The Frederique Constant Horological Smartwatch has a bit of the DNA of a Swiss luxury watch, but adds step counting, sleep tracking and easy time changes as you cross time zones. Despite being called a smartwatch it's still a Withings-style analogue tracker. There are four smartwatches in the range - two for men, and two for women - with each one offering that all-important Bluetooth connectivity. The range also includes MMT-282 Connected movement 48 months battery life, rose gold plated stainless steel cases and waster resistance. The two men's watches cost £1,010 each, while the women's range starts at £960. Are looking to cook different kinds of meals without having to lose precious space in your kitchen, the Dualit Mini Oven is for you. With an oven tray, rack and pizza pan fitted into its mini yet mighty form factor, it features a generous 18L internal capacity, double-glazed glass door and versatile cooking functions. From a standing start to 180°C in just three minutes and 230°C in under five minutes, the fast heat-up time also makes the Dualit Mini Oven an ideal solution for quick, everyday meals. Other useful features include a curved back for larger circular dishes, non-stick interior and 120-minute timer with bell. Dualit Mini Oven has a price tag of £149.99 and is available from www.johnlewis.com and www.dualit.com.